Article contributed by Mariane C. Periera. When I first heard about the PepsiCo/SWE Student Engineering Challenge, I was intrigued and excited. I quickly contacted my friends from both work and school and it didn’t take long for our team, HydroTube, to form. Our HydroTube team was a diverse blend of chemical and systems engineering students from Georgia Tech and the University of Virginia. We had three females and one male—two of us were from Brazil, one from Indonesia and one from the United States. Our skills were complemented by our diversity, leading us to develop our award-winning idea. Read about 2019's PepsiCo Student Engineering Challenge. We took on the challenge to “find alternatives to PET beverage packaging.” We loved the structure of the project; On one hand, the challenge was open-ended, which allowed our team to be very creative and come up with fresh ideas. On the other hand, the deliverables were well-defined, which provided valuable guidance to our team. Because we were all in different locations (Brazil, Indiana and Rhode Island), we met each week via Skype. Through our meetings and brainstorming sessions, we designed a biodegradable water container. The idea was further developed and improved through constant curiosity, analytical skills and life experiences of each member. We also completed a cost analysis of our idea, created a manufacturing process and considered potential challenges and the product’s environmental impact. Our dedication and collaboration helped us to bond as a team and when we met in person, the day before the competition, it felt like we had known each other forever! Mariane (far right) with team HydroTube presenting at the PepsiCo & SWE Challenge 2018 in Minneapolis. Mariane speaking for team HydroTube at PepsiCo/SWE Student Engineering Challenge. Mariane (far left) and Team HydroTube presenting at PepsiCo/SWE Student Engineering Challenge. The day of the competition was so much fun! We had a blast presenting, explaining our ideas and receiving feedback from the judges. After the presentation, we got to know the panel of judges over lunch and learn more about PepsiCo and the different engineering roles at the company. The PepsiCo/SWE Student Engineering Challenge has opened many doors for our team. Additionally, we felt so inspired after the competition that we decided to implement the feedback we received from the judges to improve our idea and compete in other challenges, placing in the top five in the Entrepreneurship Cup at the University of Virginia. Our HydroTube team continues to develop new ideas, including some exciting product plans for 2019. Read more about the 2018 PepsiCo/SWE Student Engineering Challenge. Learn about 2019's PepsiCo challenge here. The Society of Women Engineers (SWE), founded in 1950, is the world's largest advocate and catalyst for change for women in engineering and technology. The not-for-profit educational and service organization is the driving force that establishes engineering as a highly desirable career aspiration for women. 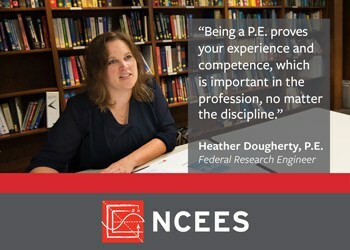 To ensure SWE members reach their full potential as engineers and leaders, the Society offers unique opportunities to network, provides professional development, shapes public policy and provides recognition for the life-changing contributions and achievements of women engineers. 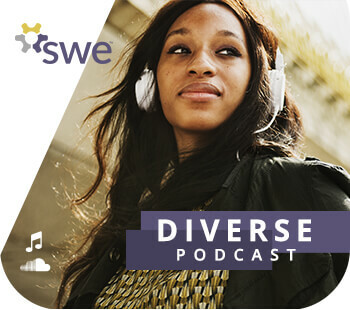 As a champion of diversity, SWE empowers women to succeed and advance in their personal and professional lives. For more information about the Society, please visit www.swe.org or call 312.596.5223.